Canoe Manned by Voyageurs Passing a Waterfall, Ontario, by Frances Anne Hopkins (1869). Courtesy Library and Archives Canada. 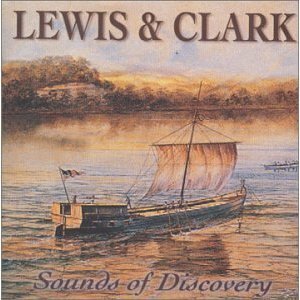 In this post, we continue with our look at some of the Lewis & Clark music that is out there to be discovered and enjoyed today. David Walburn of Whitefish, Montana, is a singer-songwriter with a rich, masculine voice and a sense of the warmth and humanity behind the stories of history. 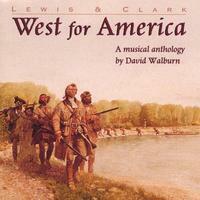 In “West for America,” he presents a set of songs told from the points of view of various members of the Corps of Discovery. Walburn is especially strong on themes of loneliness that the Corps must have felt — the feeling of having fallen off the face of the earth. His “In All My Days,” a song told from Meriwether Lewis’s point of view, captures Lewis’s energy and exuberance tinged with melancholy and self-doubt. Walburn understands what makes Lewis such a compelling figure. Highly recommended! Thomas Jefferson was himself a gifted musician in an era in which the fine arts were highly valued (rather than a perpetual target for budget cuts). As a teenager, Jefferson’s ability with the violin got him invited to play in what we might call “jam” sessions with some of the most prominent men in colonial Virginia. As he took his place among those men, he began to collect musical scores and a library of books on music theory and practice. Jefferson was undoubtedly one of the best informed men in America on the fine arts, and music was no exception. Jefferson broke his wrist in 1786 (evidently tripping over a bucket while trying to impress the beautiful French artist Maria Cosway), putting an end to his own musical career. 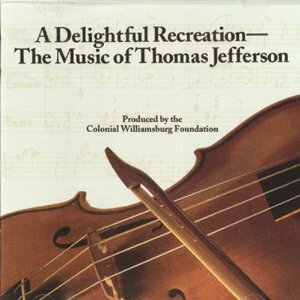 However, his daughters were accomplished on the harpsichord, and undoubtedly Meriwether Lewis found Monticello filled with the finest music whenever he spent time with “the boss.” This CD, produced on period instruments by the meticulous Colonial Williamsburg Foundation, gives a beautiful sampling of the music played and loved by the high-minded Mr. Jefferson. On the opposite end of the spectrum from Mr. Jefferson’s parlor were the taverns, riverbanks, and army camps of the early American frontier. But in their own way, frontiersmen prized music just as much as the Sage of Monticello. 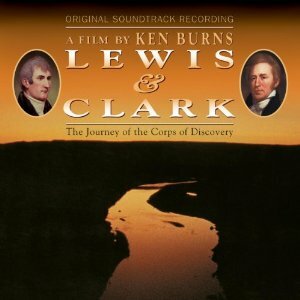 Two of the men of the Lewis & Clark Expedition were fiddlers, and the captains write often of how the men danced all night when Pierre Cruzatte and George Gibson limbered up their bows. I am excited to announced that later in the month, we will have a guest post from Dan Slosberg, a fiddle player who has spent years studying early American music and reenacting the part of Pierre Cruzatte. 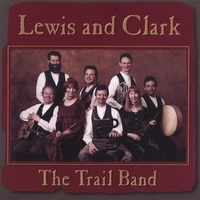 Besides Dan’s work, I also recommend this CD of early American folk tunes, many of which are still played today in bluegrass festivals and wherever lovers of good old-timey music gather. 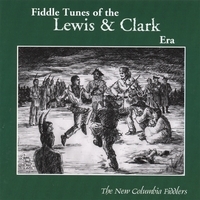 The four fiddle champions featured on this great CD are joined by other traditional musicians on the banjo, mandolin, and other traditional instruments for a down-home good time!